The premier event for IRA investors returns to Orlando, Florida, September 19-23 for five days of self-directed investment success strategies and networking with more than 600 investors. Plans are set for the premier self-directed investing education and networking event of the year. The 5th Annual Equity University Networking Conference returns to Orlando September 19-23, 2013. For the first time, the conference will take place at the Omni Orlando Resort at ChampionsGate. The Networking Conference is expected to be even bigger than past years as more and more investors seek alternatives to the volatile stock market. The event will offer more than 40 sessions filled with quality content from financial powerhouses and successful self-directed IRA account holders who will share how they created more income for their IRA with alternative investments, such as real estate, while reducing their exposure to taxes. The conference will also feature more opportunities than ever before to interact with more than 600 like-minded investors. Organized events such as the popular Speed Networking sessions help attendees make lasting, valuable connections. Details can be found on the conference website, http://www.equity-university.com/NetCon, where the admission price is currently the lowest it will be for the event. A limited number of discounted hotel rooms at the Omni ChampionsGate are available for conference attendees via a special link that’s provided upon registration. 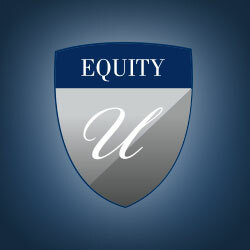 Equity University is the education arm of Equity Trust Company. Equity Trust Company, with its corporate headquarters in Greater Cleveland, Ohio and operations in Waco, Texas and Sioux Falls, South Dakota, is at the forefront of the self-directed retirement plan industry. The Company specializes in the custody of alternative assets in self-directed IRAs, Coverdell Education Accounts, Health Savings Accounts and qualified business retirement plans. Along with its affiliates, Equity Trust Company provides services to more than 130,000 individuals and businesses nationwide with approximately $12 billion in assets under custody. Since 1974, the company and its affiliates have helped investors make tax-free profits through education, innovation, and a commitment to understanding individual needs. Visit http://www.TrustETC.com for more information.